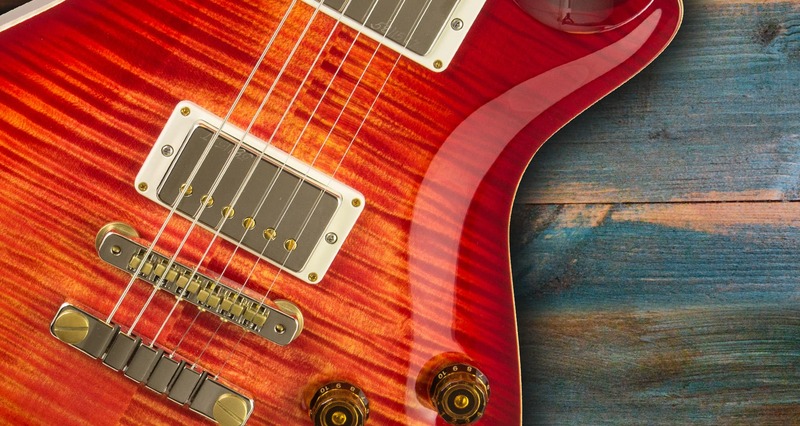 Why are some guitars so expensive? You see a beaten up, chipped Strat in a guitar shop. You turn the tag round. It says £4000. Naturally, you gawk at such an outrageous price. Surely a guitar couldn’t justify that kind of money? Luthier ability and pay grade. Let’s start with the most obvious factor: appearance. Most guitarists would agree a carefully crafted quilted Maple top wood looks better than a barebones Mahogany. Maybe you prefer the relic’d look like Rory Gallagher’s Strat or Jeff Beck’s Esquire. Whatever preference, there’s no doubt that you have the dream guitar in mind when splashing £2000 upwards. The prettiest woods that go on to form these instruments are usually the most sought after. They are expensive for manufacturers to source because preserved species, like Ebony or Brazilian Rosewood, are only available in small commodities. Companies buy for a high price, therefore only use them to build premium guitars. Cheaper models, on the other hand, are made from lower grade woods that are more readily available. It’s also worth bearing in mind that not all timber is ‘musical’ and therefore not every species be used to make guitars. not all timber is ‘musical’ and therefore can’t all be used to make guitars. Hardware is the secondary price hike. Usually, for guitars under £800, hardware such as the bridge, tuners, pickups and controls are made by the manufacturers themselves. This allows them to keep costs down as they don’t have to buy the parts from other companies. Expensive guitars have these parts sourced from specialist designers renowned for their ability to create high-end hardware. Alternatively, the likes of PRS will produce all components in-house – allowing them to control the design, output and quality. Location also plays a massive part in how much a guitars costs. Japan, North America, England and Western Europe are famous for producing reliable, well-made guitars. Luthiers in these parts of the world create uniquely designed guitars using only the best quality materials. It’s as if it isn’t just an instrument – it’s a piece of art. Usually, you’d find such masters of the craft working for custom shops and boutique brands, who take as much time as they need to build something of outstanding quality. A custom shop guitar can take almost a year to make by hand. And you know what they say: time is money. Production-line models like the famous Mexican range by Fender are mass produced using a conveyor belt system so that they can produce more guitars in a day than a custom shop. Countries such as South Korea, Indonesia and China are known for having similar big guitar factories. Less skill and time have gone into the creation of these guitars but ultimately they serve a purpose when they come out the other side. It’s not to say that you won’t find a great guitar coming out of those factories! First off, let’s avoid the tonewood debate today. We can save it for a future article. Instead, we’re going to focus on what we know for sure. Every wooden component of an acoustic will change the sound in some way. A Martin can easily exceed £5000 because of quality wood grain and torrefaction (when wood is drained of all its water contents). The correlation between price and sound is stronger in acoustic guitars than in the electric guitar market. An acoustic guitar can only produce sound according to its woods, whereas an electric guitar is heavily influenced by the electronic signal of its pickups. The correlation between price and sound is stronger in acoustic guitars than in the electric guitar market. What certainly matters for an electric guitar are the bits on top. A good quality bone nut is going to improve the natural sustain it produces. An Evertune bridge or a two-point tremolo are going to keep it in tune and keep the intonation precise. Even weight relief – taking wood away – can have a pronounced effect on resonance and overall playing experience. Sometimes weight-relief can increase sustain as the sound resonates within the body. But of course, pickups are the biggest decider. It’s great that leading guitar companies are willing to include top-of-the-range pickups on affordable models. A lot of famous guitarists collaborate with designers to create unique pickups that usually make it onto the cheaper version of a signature guitar. We have the EMG James Hetfield set, Mark Holcomb’s Alpha and Omega Seymour Duncans and the Lace Bill Kelliher humbuckers make it into guitars all around £1000. Expect similar quality in tone from this price upwards. That is why the biggest difference between cheap and expensive guitars comes down to the way they feel. There’s an undeniable satisfaction when you play a PRS Custom 24 or a Custom Shop Fender or Gibson. It’s like you’ve worn it in from years of playing as soon as you pick it up. 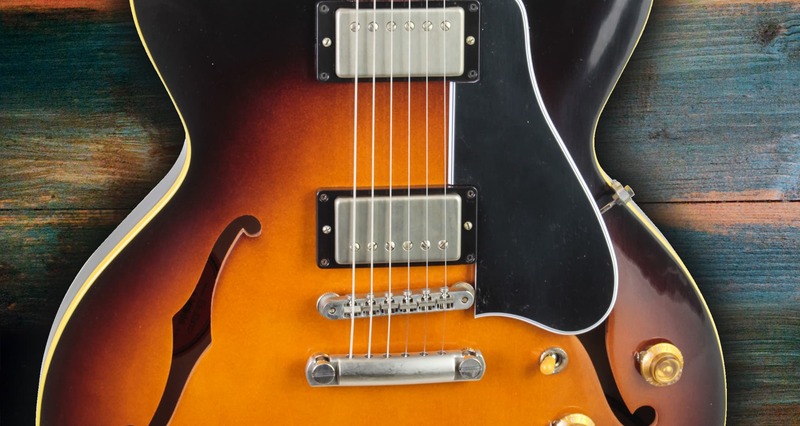 Unique and costlier designs such as cutaways, non-standard scale length and pickup placement can alter the playing experience. The way your hand rests at the bridge or your fretting hand moves along the neck should be effortless on an expensive guitar. If you can feel something sharp poking your hand on the bridge or at the edge of the frets, it’s probably a cheaper instrument. The product reflects a luthier’s ability. The detail, the way everything fits together smoothly or simply the way a guitar outlives others is a testament to the care that’s gone into making it. As with anything, a guitar is only worth what you’re willing to pay. Prices are bound to fluctuate as certain features dip in and out of popularity. There are exceptions to the general rule, as some will only go up in value thanks to their legendary status. A Gibson Les Paul 1959 Standard or a 50s-made Fender Stratocaster could cost well over £100,000. It doesn’t necessarily mean they’re great to play but are instead extremely rare and sought-after. Overall, is there a correlation between price and quality? Absolutely. Is there a correlation between how much you love a guitar and its price? Never.